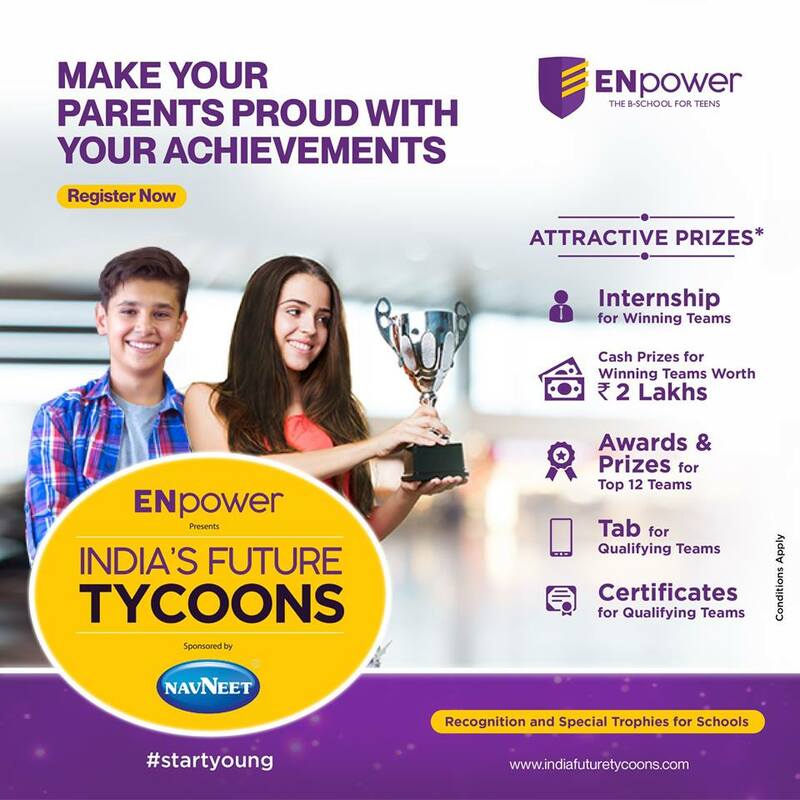 Mumbai, 4th December, 2018: ENpower presents the first ever business and entrepreneurship platform for early teens (13-17 years of age) - India’s future Tycoons, a competition for students. This is a platform for young teens to explore the exciting world of entrepreneurship and showcase their ideas about ventures. The platform has been designed to attract great minds to present their ideas, improvising on it, being trained by experts and making it an actual business model. ENpower is dedicated to create an eco-system that empowers early teens with the 21 century skills required to be at the top of the evolving economic world of the future. A game changer in itself, ENpower has introduced the first ever business and entrepreneurship program for early teens. These interventions would help them to seize opportunities arising out of India’s economic growth and make them equipped to build their own ventures, create economic value for themselves & the society and drive job creation. ENpower follows a structured process that helps children learn, inspire and empower in the career area of their passion. It encourages every child to think out of the box, experience the entire entrepreneurship life cycle and understand entrepreneurial life skills and process. It gives exposure to entrepreneur’s world and builds role models. The modules motivate the children to look at problem as ‘opportunity’, to empathize with ‘changes’ around, build inner conviction to start, learn from failure and learn to lead winning teams.